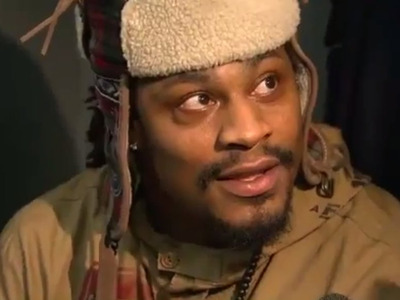 Seattle Seahawks running back Marshawn Lynch left the stadium without speaking to the media after last Sunday’s loss to the Kansas City Chiefs. The NFL slapped him with $US100,000 in fines — $US50,000 for ducking the media after the Seahawks-Chiefs game, and another $US50,000 for ignoring a warning from the last time he refused to talk. Following the Seahawks’ 19-3 win over the Arizona Cardinals on Sunday, Lynch accepted the NFL’s media policy and stuck around to speak with reporters, but answered every question with “yeah,” “no,” or “maybe,” regardless of the question. Seahawks beat writer Gregg Bell posted a list of Lynch’s responses during the session, showing Lynch used just 50 words to answer 22 questions.